SOIS is very proud of the thousands of alumni across the globe who are making an impact in the library profession and transforming information science and technology. We love to share news of the success and experiences of our alumni with current and past students in the School of Information Studies! Do you have a new address, a new job, a career accomplishment, or other good news to share? Did you tie the knot? Travel the world? Publish an article or new app? Tell us all about it! Update your information or send us a Class Note! Feel free to share a photo with us to use in our online or print publications. Please Note: by submitting this file, you are giving SOIS permission to publish the image in our online or print publications. Photo credit will be included when possible. 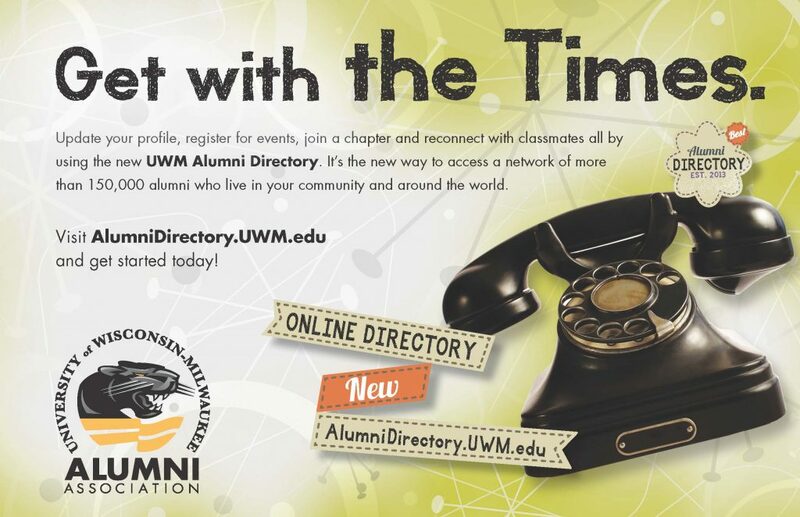 The UWM Alumni Directory makes networking and reconnecting with friends easy. Update your contact information and start connecting with the 178,000 UWM alumni and friends!